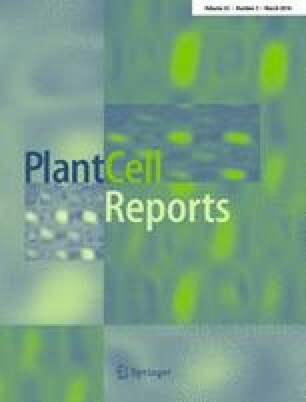 CarNAC4 is a typical stress-responsive NAC transcription factor and enhances drought and salt stress tolerances in transgenic Arabidopsis. Chickpea (Cicer arietinum L.) is relatively vulnerable to abiotic stress conditions, but the tolerance mechanisms for such stresses in chickpea are largely unknown. To identify stress-related factors in chickpea, we previously constructed a cDNA library of chickpea leaves exposed to drought stress conditions. A cDNA encoding a putative NAC transcription factor (CarNAC4) was identified as a putative stress-responsive gene. Our study indicated that the transcript levels of CarNAC4 were enhanced in response to several abiotic stresses and phytohormones. Promoter analysis demonstrated that multiple stress-related cis-acting elements exist in promoter region of CarNAC4. CarNAC4 is localized in the nucleus and binds to the DNA sequence containing CGT[G/A], while the C-terminal region of CarNAC4 contains a transcriptional activation domain. Over-expression of CarNAC4 in Arabidopsis plants improved tolerance to drought and salt stresses. Transgenic plants exhibited greater reduced rates of water loss and more proline accumulation than Col-0 plants under drought stress and less MDA contents than Col-0 plants under salt stress. In addition, over-expression of CarNAC4 enhanced the expression of stress-responsive genes such as RD29A, ERD10, COR15A, COR47, KIN1 and DREB2A. These results indicated that CarNAC4 functions as a transcription factor involved in the regulation of drought and salt stress response. The online version of this article (doi: 10.1007/s00299-015-1907-5) contains supplementary material, which is available to authorized users. We gratefully acknowledge the partial financial support from the projects supported by the National Natural Science Foundation of China (31160306 and 30860152), and from the project supported by the Xinjiang Science and Technology Department of China (200991254) for this research.